Best Writing Pens You'll Ever Write With! Multi-Year Shelf Life vs 8 Months for Competitors. Smoothest Writing Gel Pens with Flawless Reliability. Available in Black ink or Blue ink too! 1. an intense feeling of deep affection towards your pen. Sphere Pens are the union of functionality & the emotional. It's not simply how it writes...but how the pen makes you feel when you write. I just wanted to share with you about an experience I had with a client who used our pens. I had left a pen with a client at a dentist's office. About a week later, she ended up moving to a different office and the only thing she took with her was her pen. She ended up calling me ( on behalf of the Dr.) because she had the pen in her pocket and her Dr. was needing a service we provided. We ended up paying for our order of pens with what we billed the Dr. 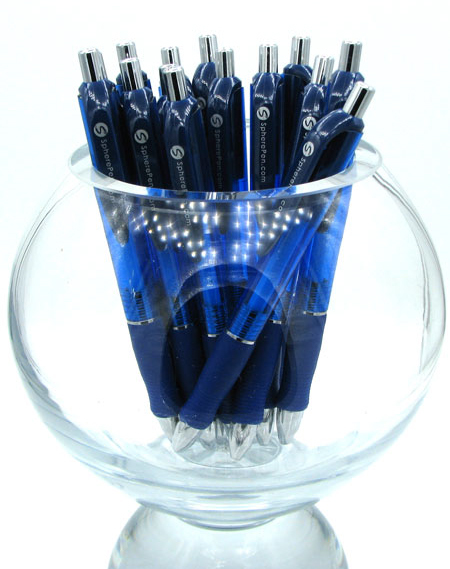 Influence your business “sphere” with the smoothest writing promotional imprinted pens… Sphere Pen! Our pens write with specially formulated gel black or blue ink which uniquely extends the shelf-life up to 5-times longer than other roller gel pens. Customized with your logo & personalized contact info for perfect branding, your prospects & clients will remember your gift long after the trade show or special event ends.Think of Sphere Pens as your writing business card! "I've given away a tons of promotional pens during my 20 year career and without a close second, Sphere Pen is everyone's favorite! Clients stop by all the time wanting more. Thanks for providing such a great product." What makes Sphere Pens so uniquely different from the rest? Sphere Pens are cherished by our clients because of the way they write in super smooth black or blue gel ink, the comfortable egronomical ease in which they handle and equally important, the unbelievably long shelf-life. 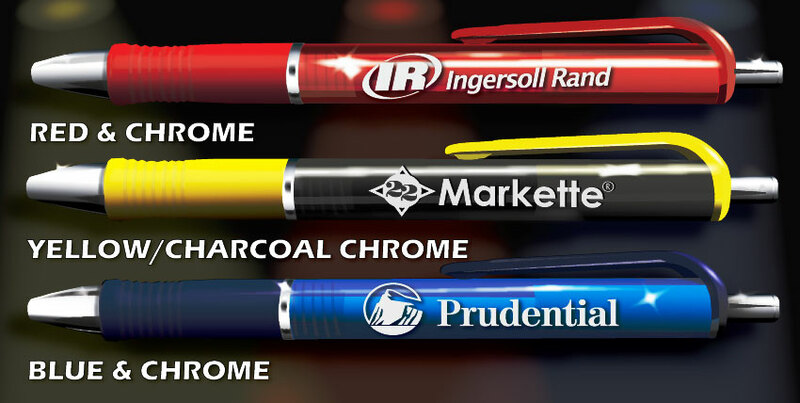 We’ve been in the promotional products industry for well over a decade and have compared all competitor gel pens. Not only did we compare, we spoke to every manufacturer out there. They reluctantly confess the shelf-life of 8-12 months (varying by manufacturer) is why most gel roller-ball style pens start to skip, scratch and prematurely dry out before they’re even used. Not Sphere Gel Pens! Why is Shelf-life so important? For the run of the mill gel pen, the shelf-life clock starts ticking from the time they are manufactured overseas, cargo shipped to the U.S., trucked to distribution warehouses, then trucked again to retail outlets and finally purchased by you, the consumer. Sadly by that time, 33% of the pen’s viability is lost. With this knowledge, we set out to build a great pen…Sphere Pen! What does this mean for you? Sphere gel pens shelf-life is many times the industry average! Infact, we have some of our original Sphere Pens with our old logo on them that are now 12 years old that we still use around the office here. 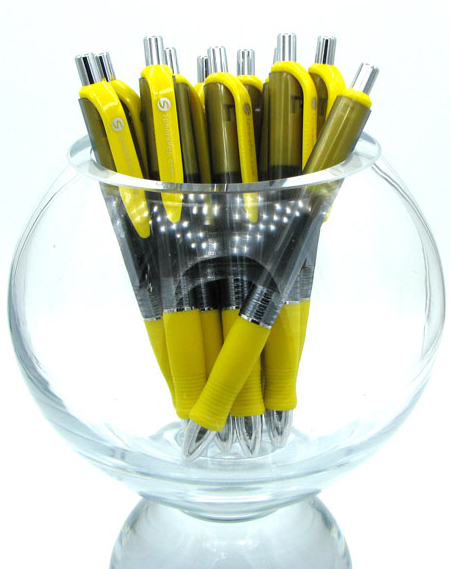 Now you can take your time handing out your imprinted gel pens to clients without the worries of premature drying. 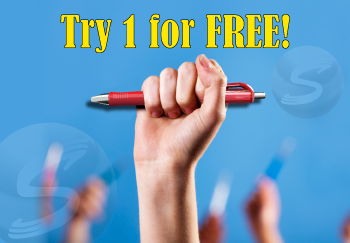 You & your clients will enjoy a skip & scratch free writing experience. The more your client likes & uses the pen, the more visual & subconscious impressions your logo and contact info will impact them. You will become ingrained on their brain! 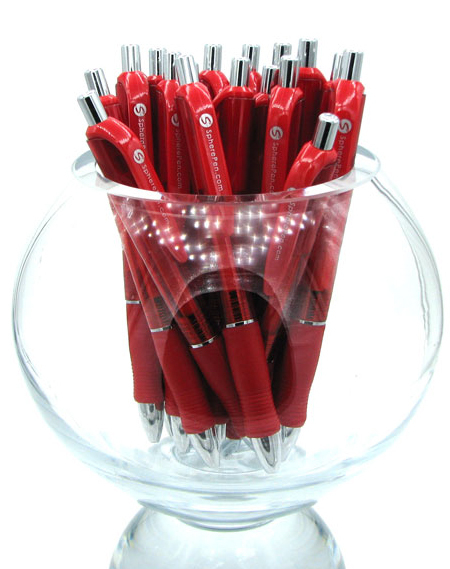 Sphere Pens are perfect for trade shows and swag bags too! Our clients call and email us with many stories of how their customers and clients have contacted them sheepishly asking for another pen. We know it sounds like a bunch of fluff, but it’s hilariously true! They will become addicted to it. Your pens will become an indispensable sphere of influence networking & relationship building tool for your marketing arsenal. Pocket Clips: Most pocket clips are difficult to use and poorly designed. They're either too stiff, too fragile or just impossible to clip onto your shirt or purse. You know what I'm talking about! Our pens' pocket clip has just the right amount of flex to comfortably function as intended & is virtually unbreakable (unless perhaps you're of simian persuassion)! We also offer an ample advertising imprint area for your logo & contact information on the barrel of each Pen for optimal branding. At time of order, we will send you a virtual proof so you can see how your art will be laid-out. Our promotional pens are printed right here in the USA! If you have any questions, please feel free to give us a call and talk with a live human being. We won’t bite, I promise! If you prefer email, we have live people to answer that as well! P.S. 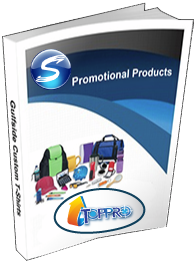 We also provide other imprinted promotional & marketing solutions. Let us know what you want to achieve and we’ll provide the answers! Best Writing Promotional Gel Pens! Refer a friend & get a $25 referral credit towards any future order! © 2017, Sphere Pen©. All Rights Reserved.